BALLWIN, Mo. - A suburban St. Louis police officer who was shot and critically injured during a traffic stop has been identified as a nine-year law enforcement veteran known for his sense of humor and professionalism. 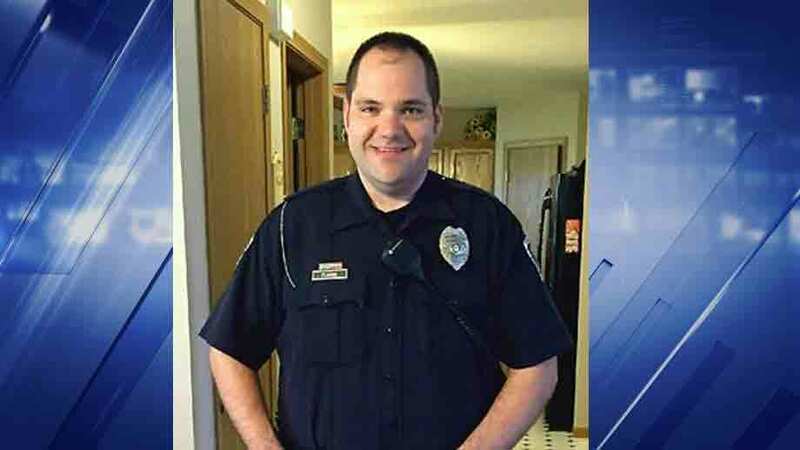 The Ballwin Police Department released a statement late Saturday saying the officer, Mike Flamion, joined the force in 2014, following seven years as an officer in De Soto, Missouri. Authorities said Flamion was shot from behind Friday while walking to his patrol car. He was hospitalized in critical but stable condition. "Officer Flamion is highly regarded by everyone in the department. His sense of humor and professional demeanor make him a centerpiece of our department," the agency said in a post on its official Facebook page. The department said it was overwhelmed by the "amazing amount of support and compassion" the community has shown Flamion, his family and Ballwin police. The shooting came a day after five Dallas police officers were killed during a protest over the recent fatal police shootings of black men in Louisiana and Minnesota. Ballwin's police chief has declined to speculate about a motive behind Flamion's attack, including whether the shooting had racial overtones. Flamion is white, and the suspect, 31-year-old parolee Antonio Taylor, is black. Taylor, who was arrested shortly after fleeing the scene, was jailed on $500,000 cash bond. He is facing charges that include assault of a police officer. St. Louis County Prosecutor Bob McCulloch said Friday that there was no evidence of any dispute between Taylor and the officer before the gunfire. CBS affiliate KMOV-TV reports Flamion was shot while walking back to his car to process paperwork during what appeared to be a routine traffic stop for speeding. Police say Flamion and the suspect had a conversation. While the officer was turned around, the suspect "advanced quickly," and fired at least three shots, with one striking Flamion in the neck. The officer "had no chance at all" to pull his handgun and "was completely helpless," Scott said, noting the encounter was recorded by the police car's dashcam. A semi-automatic handgun was recovered from the scene, KMOV reports. A man who lives nearby told KMOV his wife helped the wounded officer. "A nurse drove by and she told my wife to get a towel, so she ran in and grabbed a pillow case that's on our stairwell ran back out and put it on his neck and stopped the bleeding," Ben Riley. Taylor was on probation for a weapons violation in St. Louis. He also had been on probation for a stolen vehicle in Oklahoma, and was picked up on a gun charge in California, drawing a prison term for being a felon in possession of a firearm. He was paroled in March 2015.